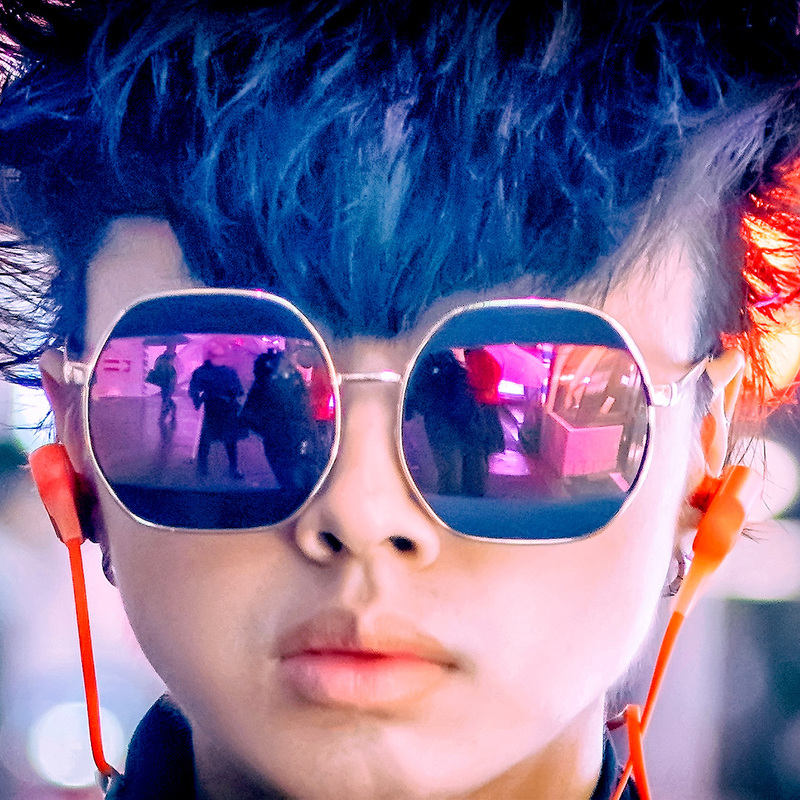 Harajuku style trends move quickly. Faces change, shops and brands come and go. It’s difficult to stop time and declare what matters the most. Even so, as the New Year kicks off we thought we’d take a quick look back at 2012. 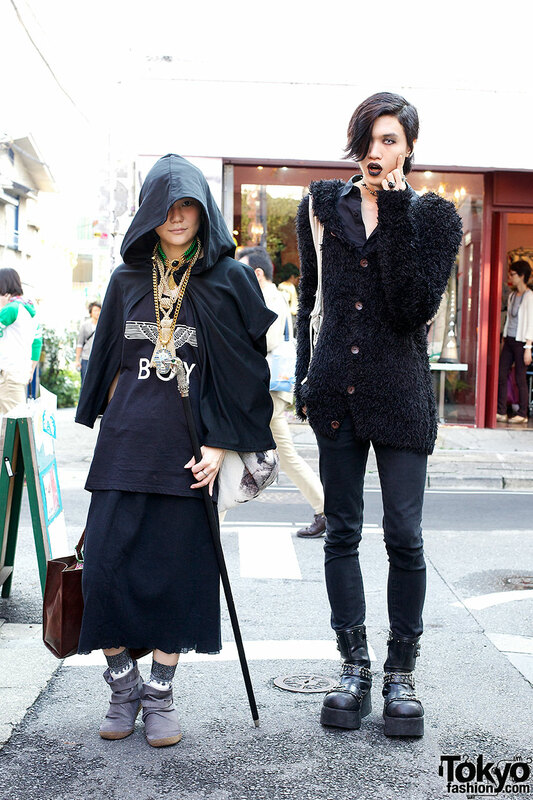 Our focus with this list – as with the site – is what’s important on the STREETS of Harajuku. 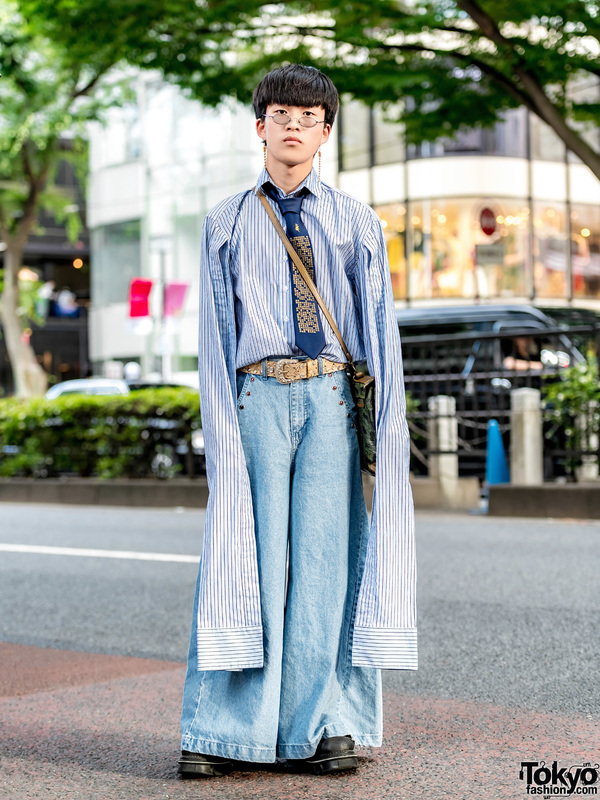 Keep in mind that Harajuku street fashion is a scene of its own, distinct from the bigger world of Japan (or even greater Tokyo). 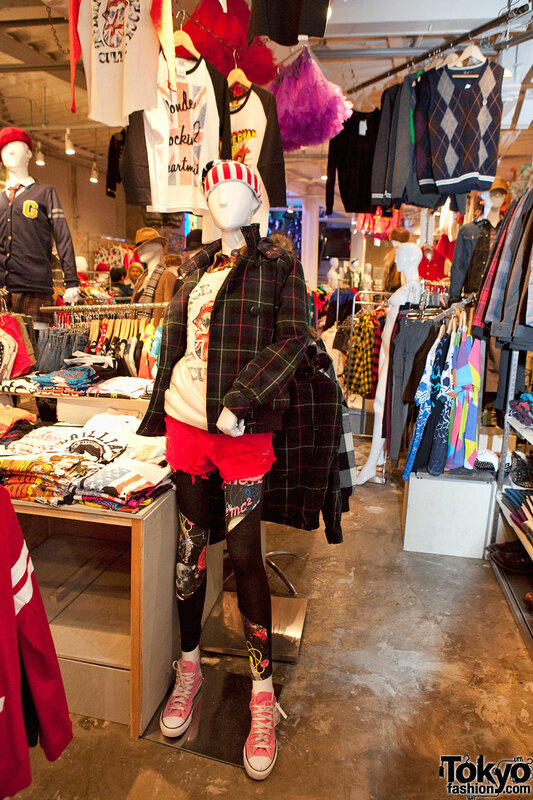 Hopefully, this list will give you a little insight into what mattered in Harajuku in 2012. We didn’t try to create an Ultimate Top 10 List. Many trends had to be cut (cable knit, faux leather, clutches, neon beanies, etc.) to get the list down to 10 items. We take no offense if you disagree with our choices. 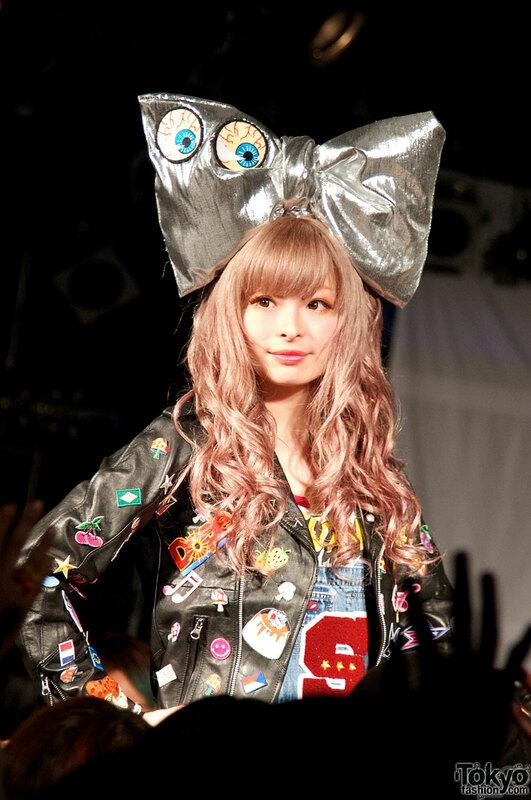 Please have a look at our “Who What Where of Harajuku 2012” and let us know your thoughts in the comments. Happy New Year everyone! 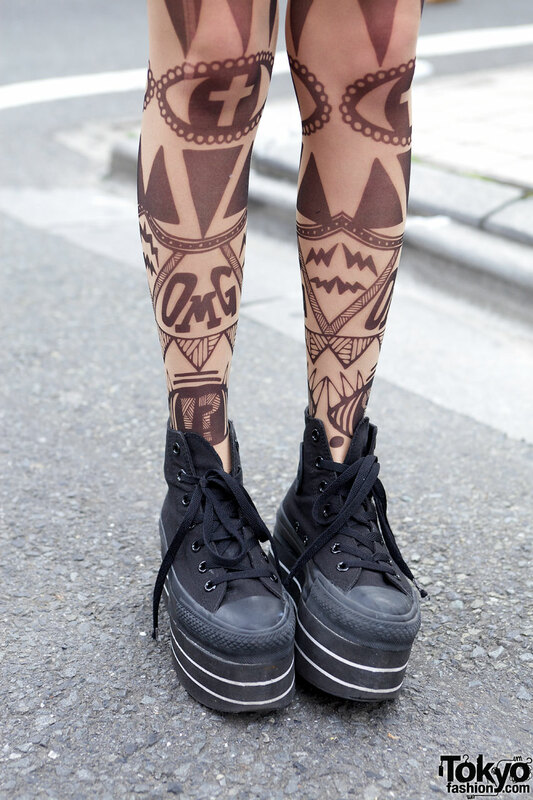 Everyone on the street wore tattoo tights in 2012. 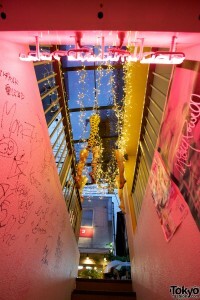 AvantGarde Harajuku was the center of this boom (with special mention to Choco Moo for the shocking popularity of her Mam AvantGarde designs). 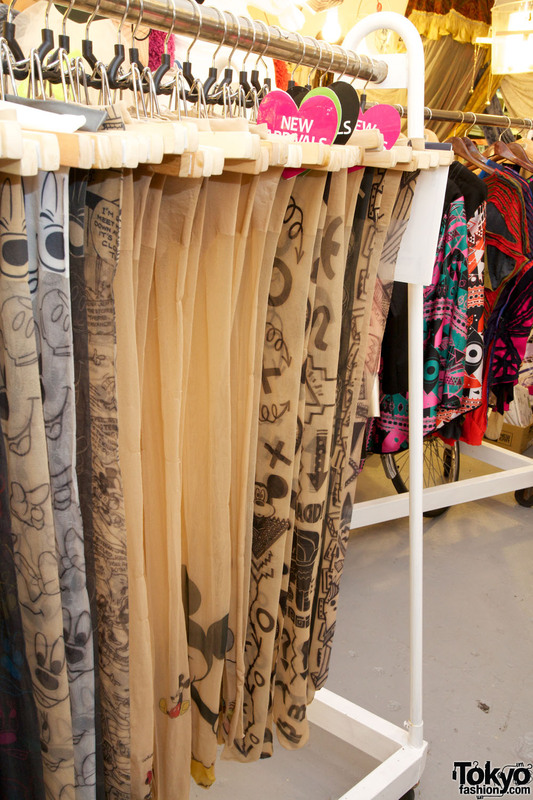 By the end of the summer, cheap inspired-by versions were in every shop in Harajuku, but AvantGarde is still The Place for anyone who wants the real deal. 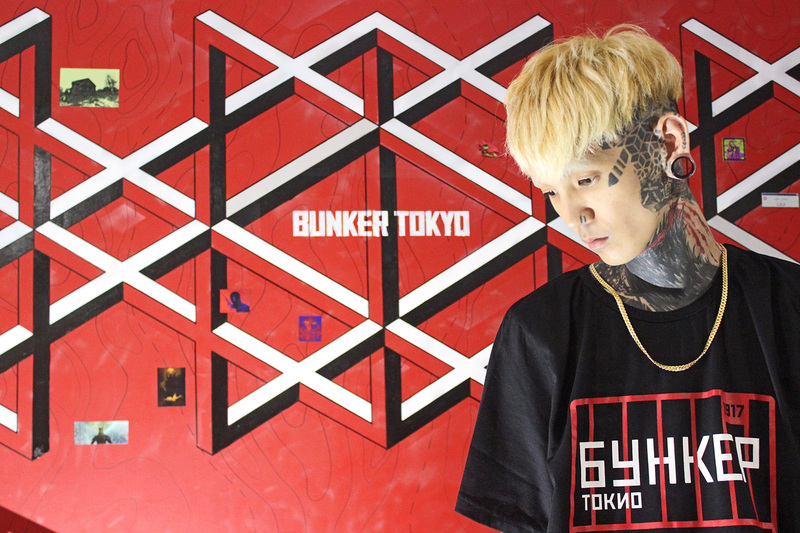 George Cox or Underground x [any hip Japanese brand you can think of]. Creepers (they’re called “rubber soles” in Japan) – from classic black and white to leopard print to gold to neon pink and yellow – were a breakout item this year. Platform sneakers were also hot, but they’ve been booming for a couple years now. 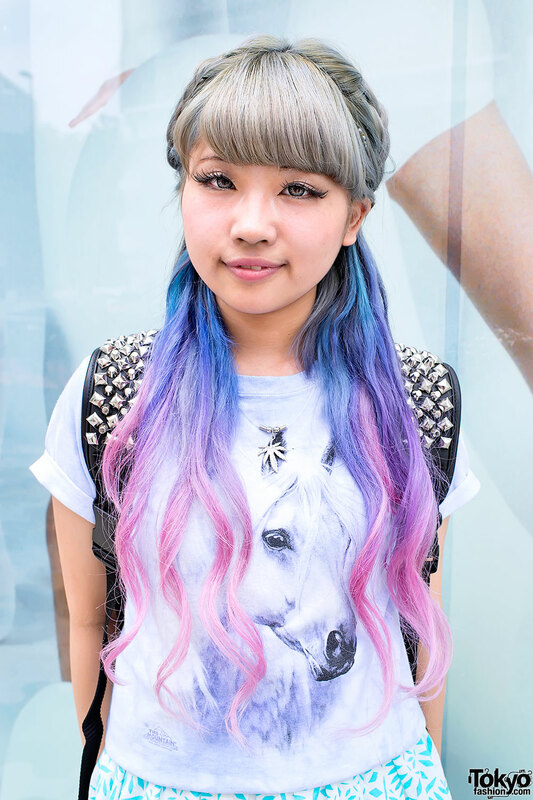 Dip dye (pink & blue) along with lavender/lilac hair made 2012 a colorful year in Harajuku. 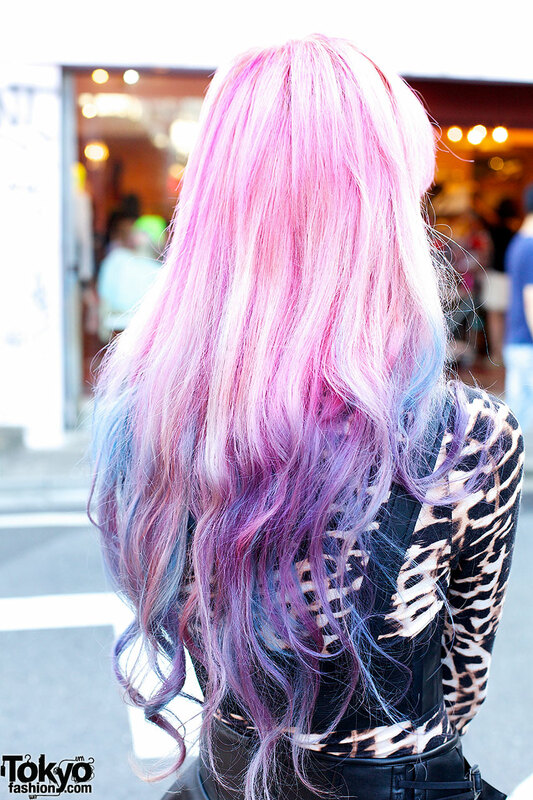 If Tumblr had streets, the streets would look a lot like Harajuku did during the peak of the dip dye boom. Does that make sense? No? Okay, just look at the pretty pictures. 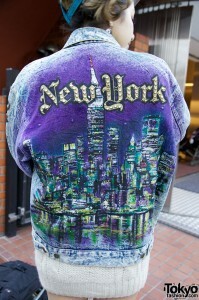 That’s our quick take on Harajuku street fashion/style trends for 2012. It’s just a tiny part of what actually happened here in the last 12 months. But Harajuku isn’t a place for looking backwards – it’s all about what’s now and what’s next. So, here’s to 2013 and the great year it’s going to be. 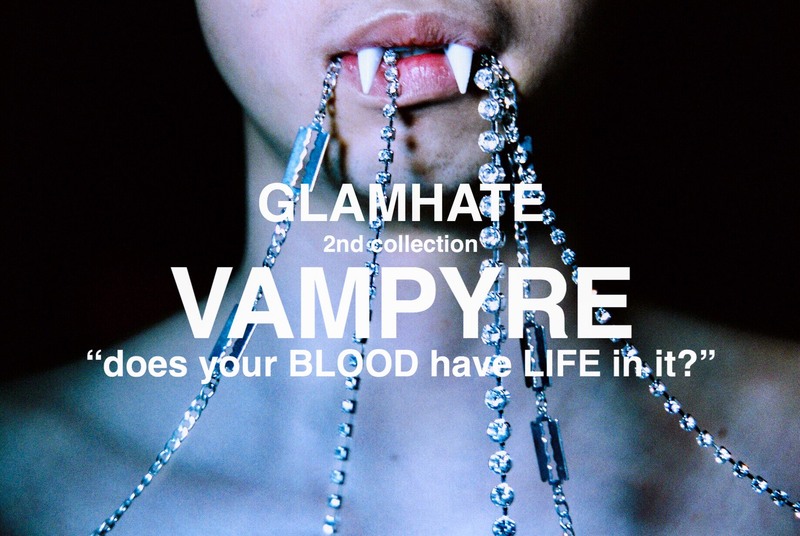 Happy New Year to each and every one of you, and thank you for supporting Tokyo Fashion past, present, and future!!! Absolutely love it! I’m excited for another year and hope some of these trends will trickle overseas! I loved everything. Some stuff I remember from the 1980s but it still looked great for 2012. I’m looking forward to being inspired by and wearing some of Japan’s new trends for 2013. I totally agree with the Boy London thing! And honestly? 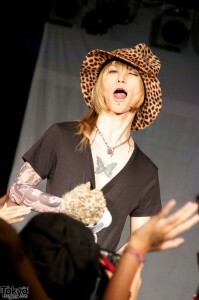 I prefer Hirari over Juria. She’s just so much more intense and I find her waaay cooler. I’m Canadian and I love your creations go fashion. I agreed with everything right up to number 10. I don’t disagree that that BOY exploded but so did a couple of other trends. I might have gone with the neon beanie hat although I suppose you could lump that in with SPINNS…! Tokyo fashion really is the best (O u O )? I am looking for black fishnet face mask. Any one have a lead for me? we are are having fashion day on the Plaza here in Taos New Mexico on September 28th. 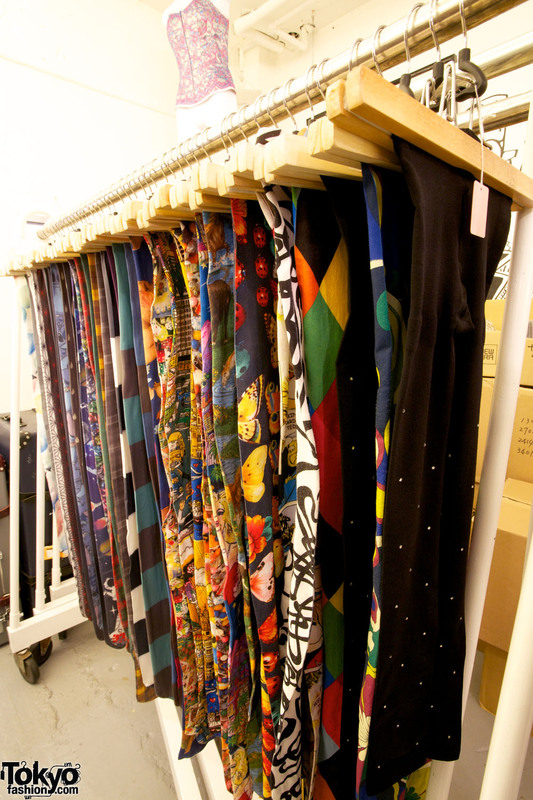 I need it for my outfit…help!